Over the last few years APNIC has received numerous requests to provide more information for practical, hands-on technical information and assistance. To address this ongoing demand and to establish a deeper understanding of Members’ needs, APNIC developed the APNIC Technical Assistance outreach project as the first stage of development of the Technical Assistance. APNIC Technical Assistance aims to better support APNIC Members by understanding the issues they face in their day-to-day network operations, and by sharing expertise on best and current Internet technical practice. 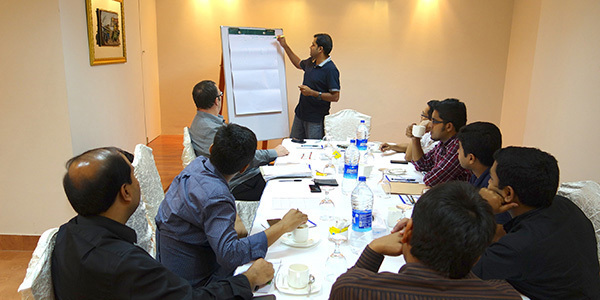 In contrast, APNIC training courses cover specific subjects and are delivered in a classroom style for Members from multiple organizations. How does the APNIC Technical Assistance outreach program operate? Internet technical experts and APNIC staff with specialized knowledge (for example on RPKI and ROA object creation) visit individual APNIC Member organizations to discuss their specific technical issues and share and provide best current practice information. These Internet technical experts have extensive operational experience and knowledge on Internet infrastructure network operations and management. Such knowledge has been openly shared at past APNIC and APRICOT technical workshops, tutorials and conference sessions on operational topics. They have supported technical development in the Asia Pacific region for many years. These outreach visits also provides APNIC with meaningful information on the technical challenges that APNIC Members are facing. APNIC will analyze the outcome of Technical Assistance outreach visits that we have conducted so far in 2015 and establish a plan for the next step of development for the Technical Assistance in 2016. 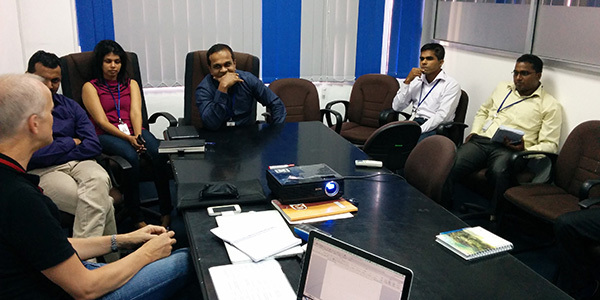 In the first half of 2015, APNIC Technical Assistance outreach project worked with Members in Sri Lanka, Bangladesh and Thailand. Group discussion of APNIC Members sharing their challenges in day-to-day with Internet technical experts Dr. Philip Smith and Dean Pemberton, and a Senior Internet Resource Analyst from APNIC. APNIC provided up-to-date information on RPKI and ROA objects in the whois database and its benefits. We then assisted with the creation of ROAs to validate their routes on the spot. Many organizations are working hard to deploy the most effective measures to counter DDoS attack. APNIC believes mitigating DDoS attacks in the region contribute to a safer Internet environment, and we need to work together to make sure networks in the APNIC region are not used as a launchpad for DDoS attacks. Our Internet technical experts shared their knowledge on this topic at recent APNIC Technical Assistance outreach visits. How to request APNIC Technical Assistance? Please send your inquiry to helpdesk@apnic.net so we can have an initial discussion about your organizational needs. Once APNIC understands your organization’s needs, we will build a budgeted Technical Assistance plan with you. Please be aware that APNIC Technical Assistance is still evolving and we are finalizing the optimal way to deliver this service to our Members. APNIC Technical Assistance also works closely with external Internet organizations with an established background and recognizable contribution for technical capacity development of the Internet technical community. 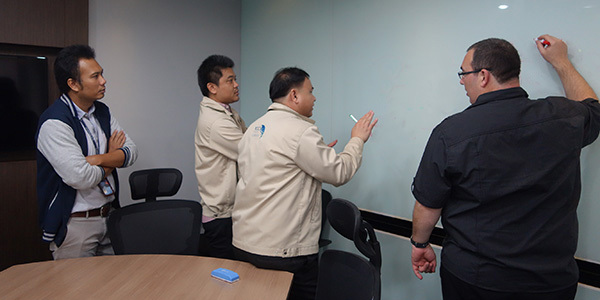 For example, APNIC Technical Assistance has collaborated with the Network Startup Resource Centre (NSRC) by sharing resources for the benefit of the Internet technical community. NSRC is a leader in providing practical technical assistance to new networks, especially academic networks, in developing economies. Like APNIC, NSRC is a non-profit organization and is well known for their high-quality technical support for research and education networks.